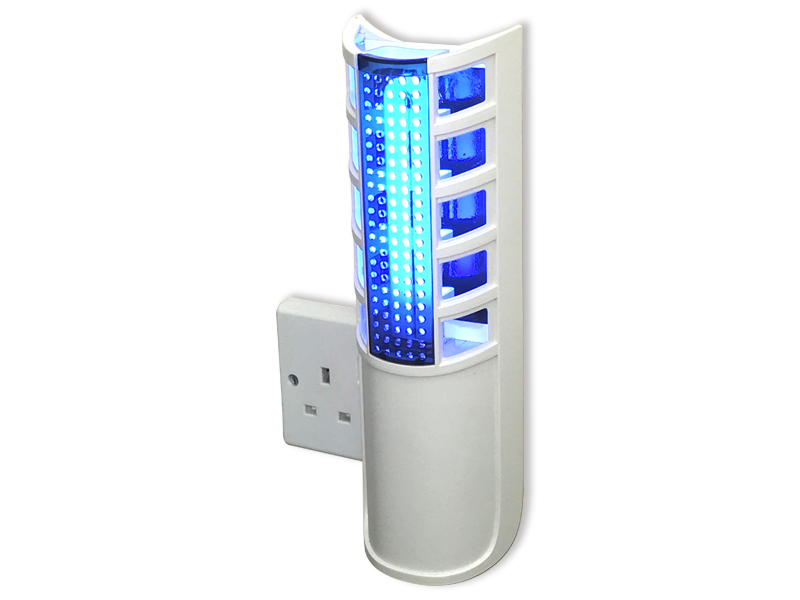 The Plug-in uses a powerful ultraviolet lamp which attracts flying insects. On the inside of the unit a glueboard is placed on which the insects are trapped. 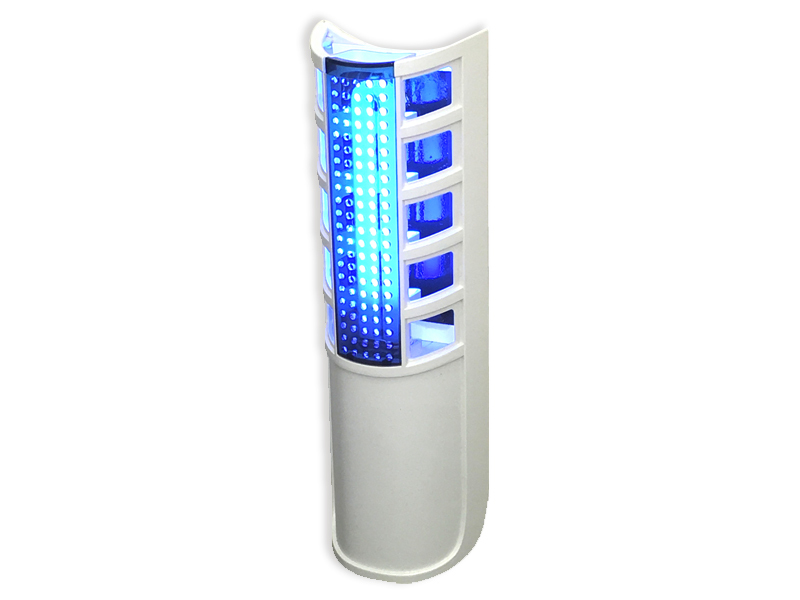 This glueboard is placed out of sight providing discrete control of the flying insect pests. Useful as a night light. The Plug-in is easy to install, easy to service and safe to use. 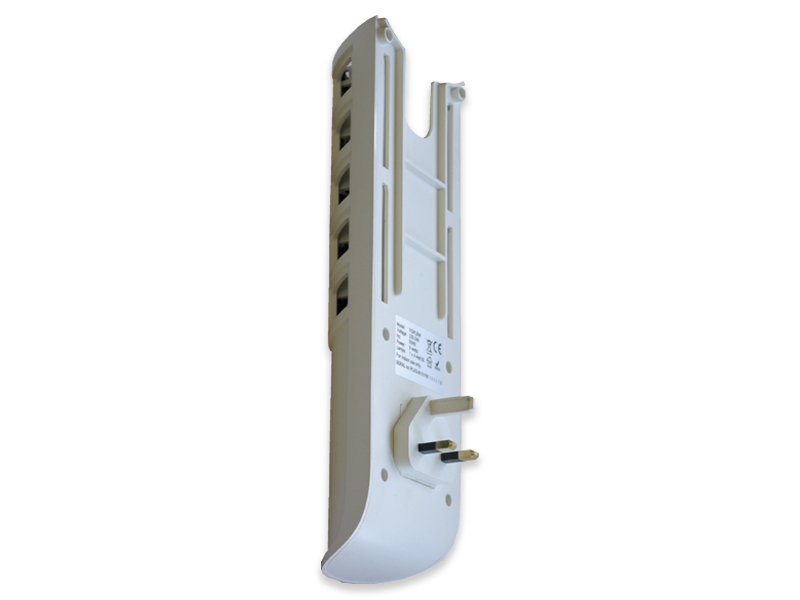 Coverage - up to 25 sq. metres approx. Do not leave children unattended when in use.